Insiders required to report trading activity are key management personnel, defined by the Australian Accounting Standards Board (VIEW LINK) as “those persons having authority and responsibility for planning, directing and controlling the activities of the entity, directly or indirectly, including any director of that entity”. Investing alongside other shareholders gives key personnel a bigger stake in the success of the entity and helps to align their interests with the interests of investors. The downside is that these insiders will often be, or be perceived to be, in possession of “market sensitive information” or “inside information” concerning the company that is not generally available to other investors. 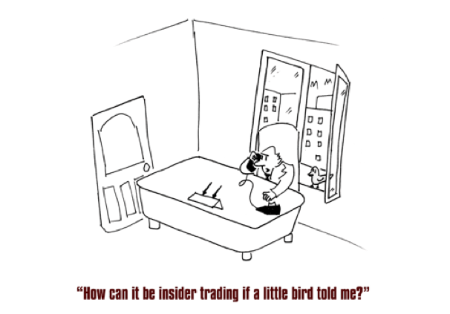 These insiders also have legal obligations (VIEW LINK) not to engage in insider trading or market manipulation and not to use information acquired as a director or employee to gain an improper advantage for themselves.